Cape Town - Lock Hendre Stassen will not return to the Bulls after signing a contract extension to remain with French club Stade Francais. 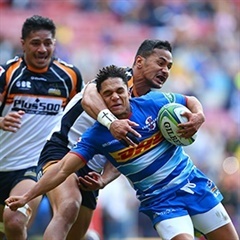 The 21-year-old had originally joined Heyneke Meyer’s team on loan from the Bulls, but it was confirmed on Wednesday that he had signed a permanent two-year deal. "I am happy to stay in Paris. I am especially happy to play for Stade Français in Paris which for me is one of the biggest clubs in France. To be honest, since I arrived, I did not want to play anywhere else. I know that from this season we can do something special and I look forward to the future," Stassen told Stade Francais' official website. Stassen was often utilised at flank by Meyer and has impressed the former Springbok mentor so much that he convinced him to stay. The Bulls earlier said they expected Stassen to return to Pretoria at the end of March but that no longer appears to be the case.